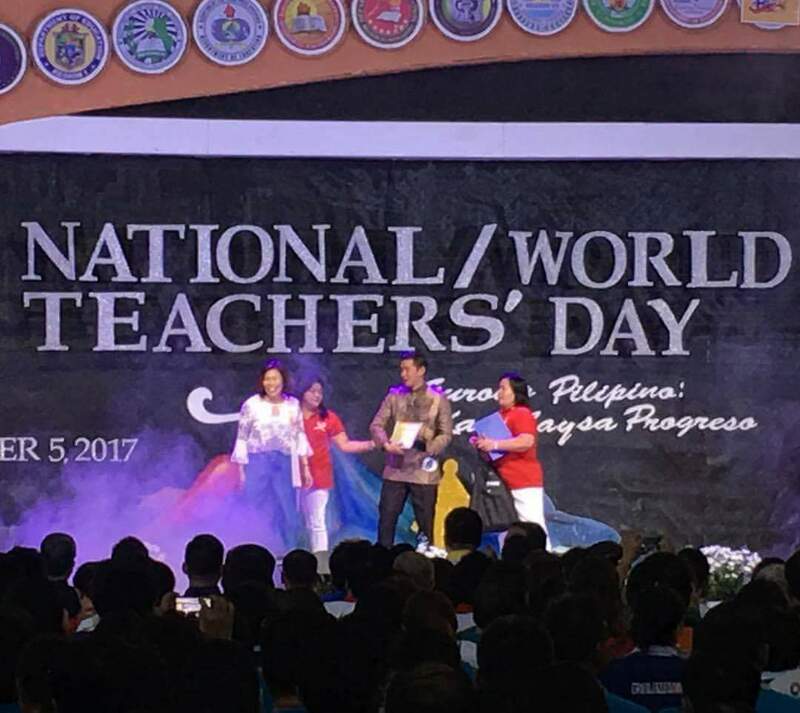 DepEd's NATIONAL TEACHERS' GOT TALENT 2017 - A Moment To Remember! 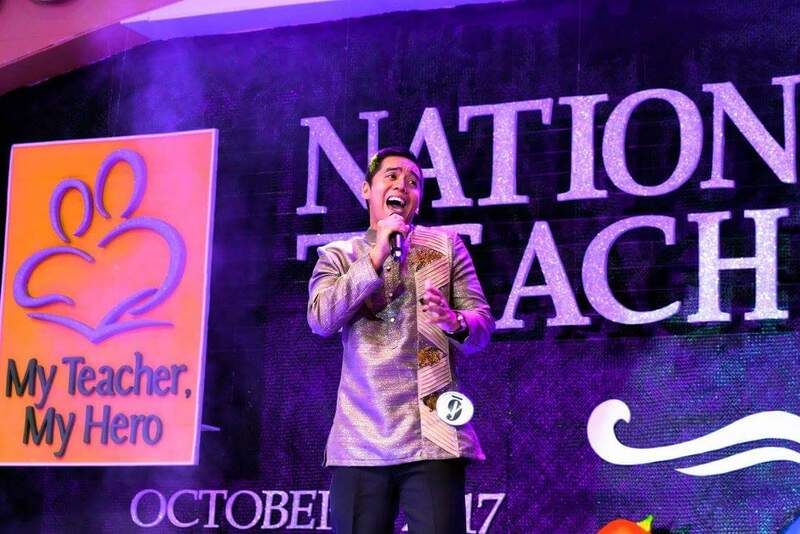 Home /DepEd’s NATIONAL TEACHERS’ GOT TALENT 2017 – A Moment To Remember! 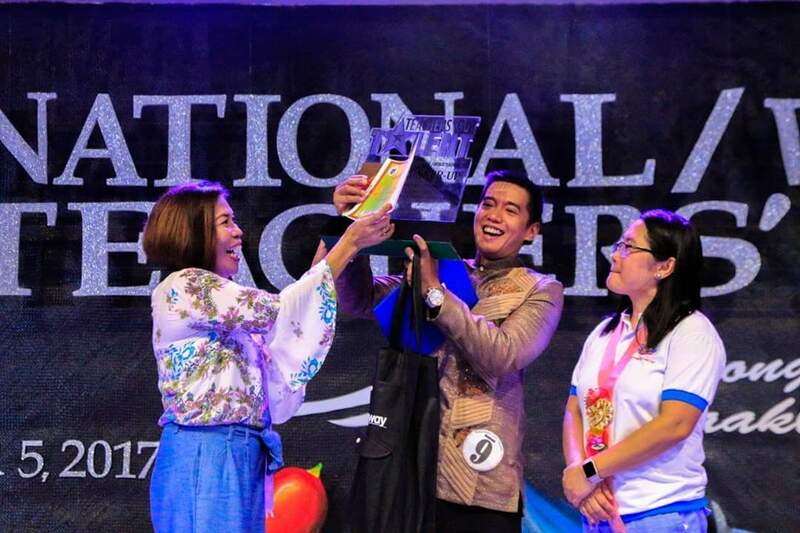 DepEd’s NATIONAL TEACHERS’ GOT TALENT 2017 – A Moment To Remember! 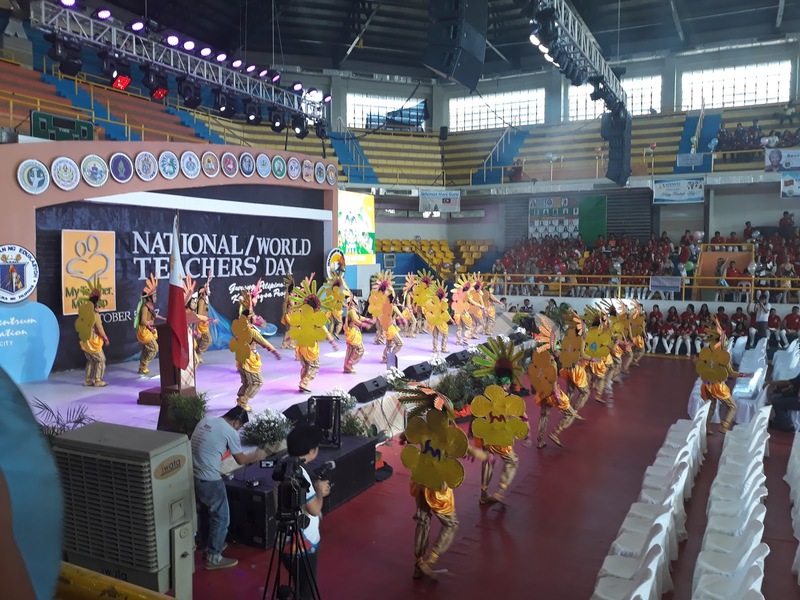 During last October 2017, it was the celebration of the World Teacher’s Day. 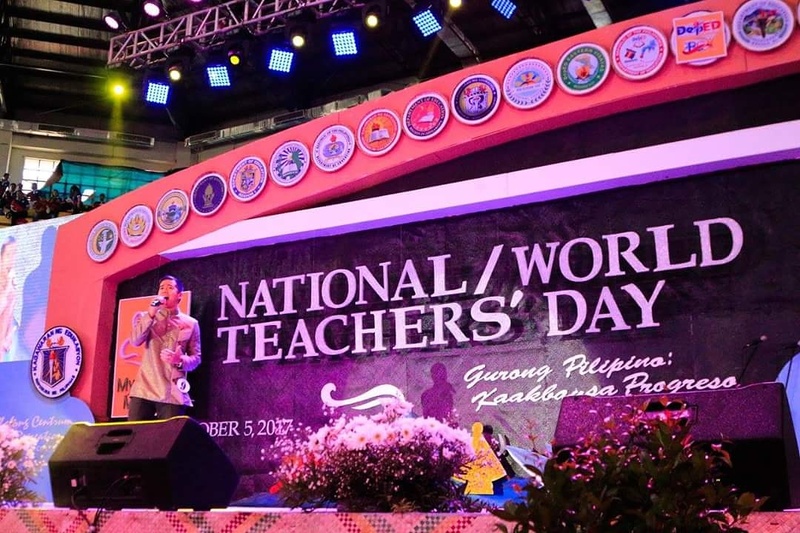 This is a time to celebrate the hard work of the teachers all over the world and the type of commitment they or we all make to create a difference in the world. 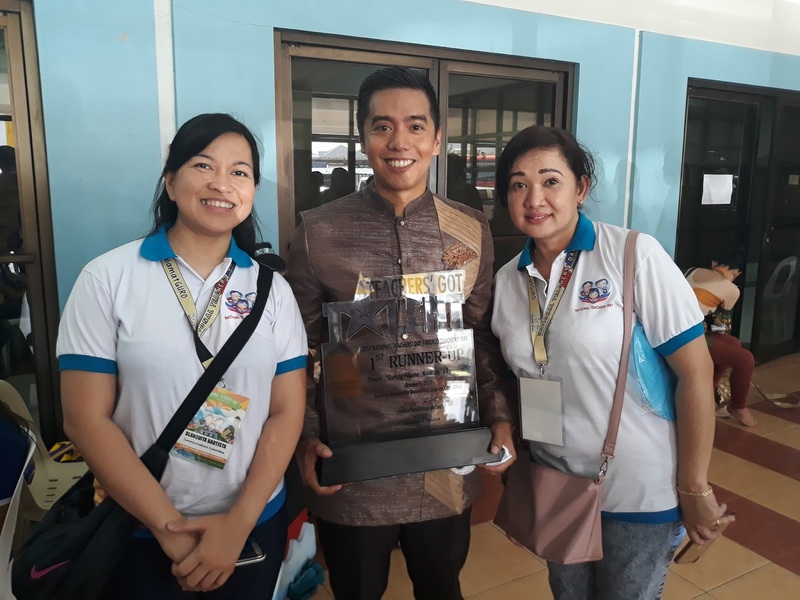 A few weeks before October 2017, I received a call from Mam Lualhati Cadavedo to participate in the Teachers Got Talent 2017, a national level event of the Department of Education that will take place in Legazpi, Albay. I sent my audition video and, fortunately, I received a call that I had been selected as one of the finalist of the Teachers Got Talent 2017. 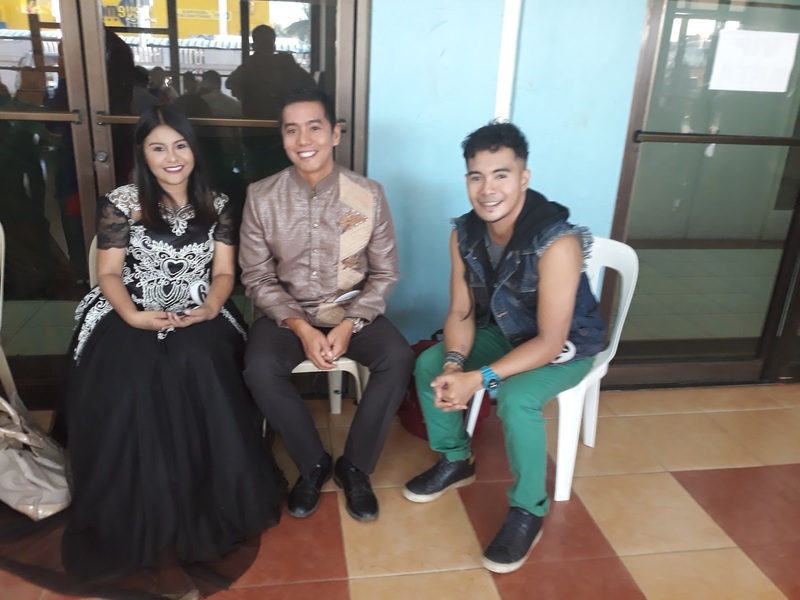 I was shaking when I received the call because I would be representing Region 4A and of course the Division of Imus City. 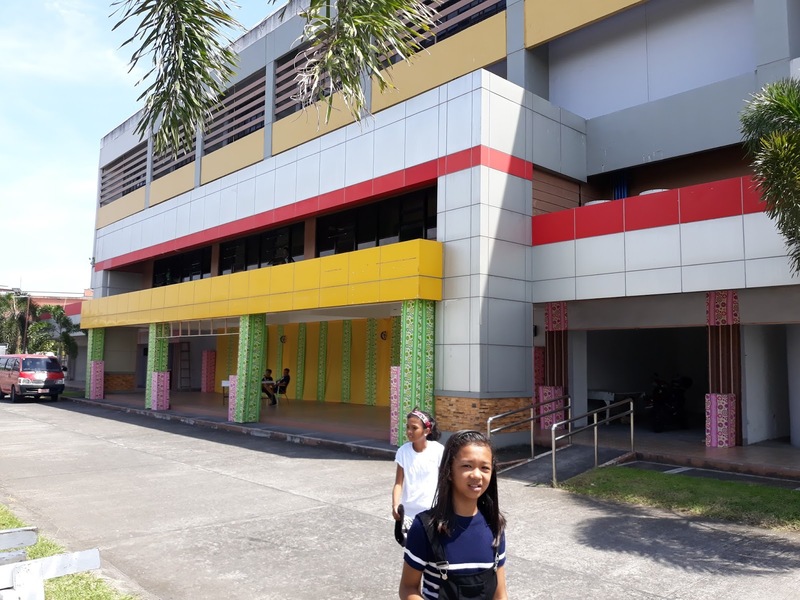 Our school General Emilio Aguinaldo National High School in Imus City was so excited about this news and of course the Division of Imus City. 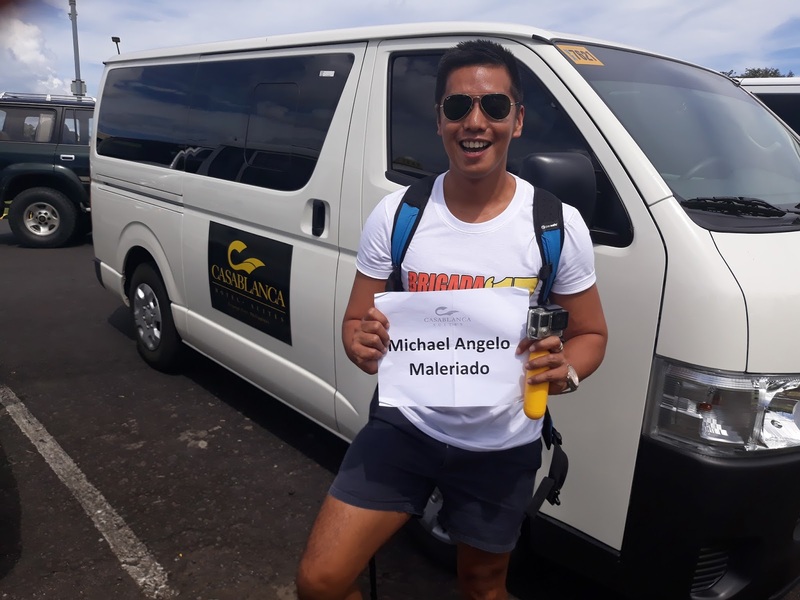 They immidiately bought me a plane ticket to fly to Legazpi in time for rehearsals for the event taking place on October 5th. During my stay in Legazpi, I stayed at this beautiful hotel, CASA BLANCA SUITES where it was easy to go around the city and to the venue. The time finally arrived for us to attend the rehearsal. 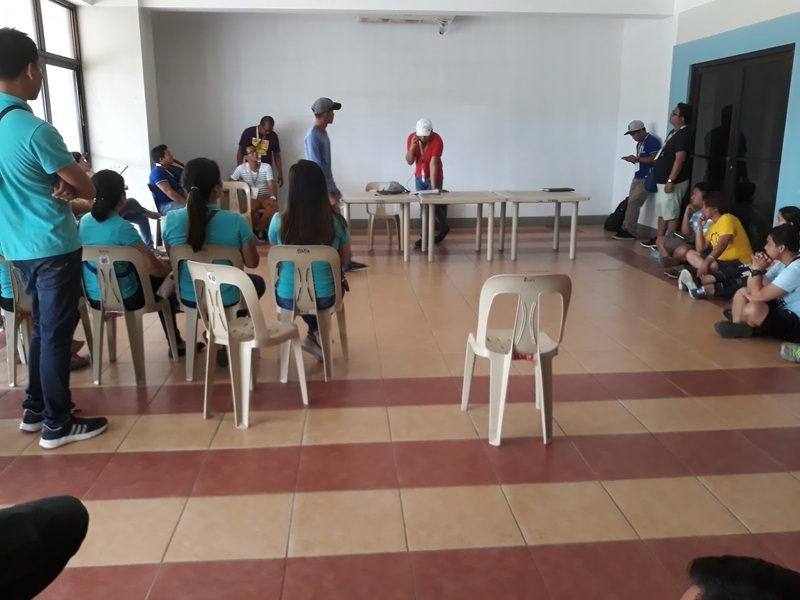 This was also the first time that we were going to meet the other participants from different regions. 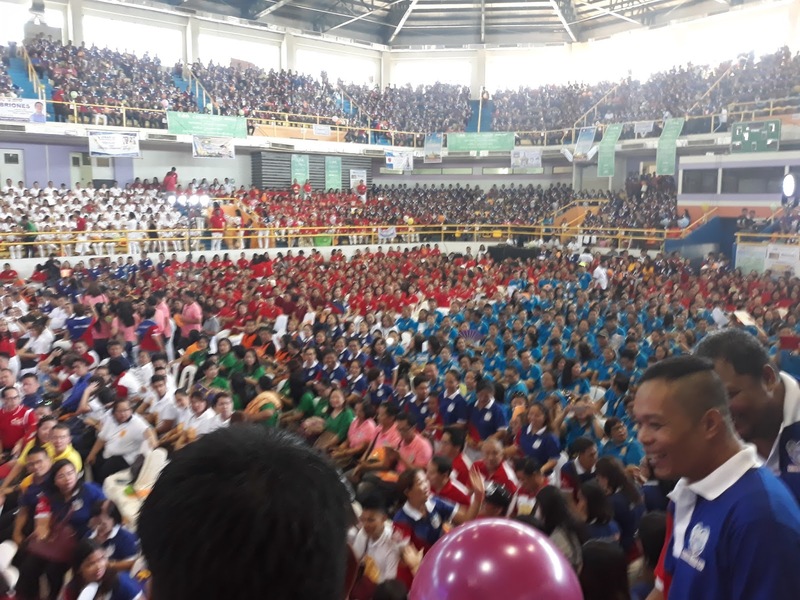 The event was going to be held at Ibalong Centrum where 6000 people are expected to attend the next day. As I entered the stadium, it was busy and chaotic everywhere. I was on the side waiting for further instructions. 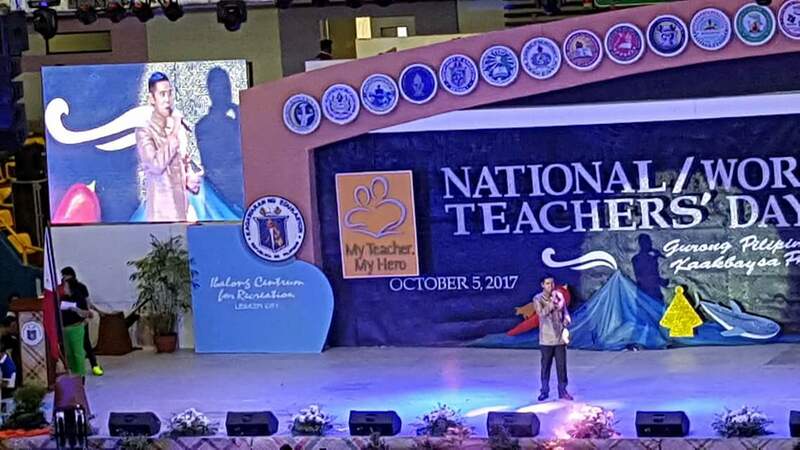 Joel Mallorca Faustino, the head of the Teachers Got Talent 2017 called all the participants for performance. Here I finally got to meet the other participants. 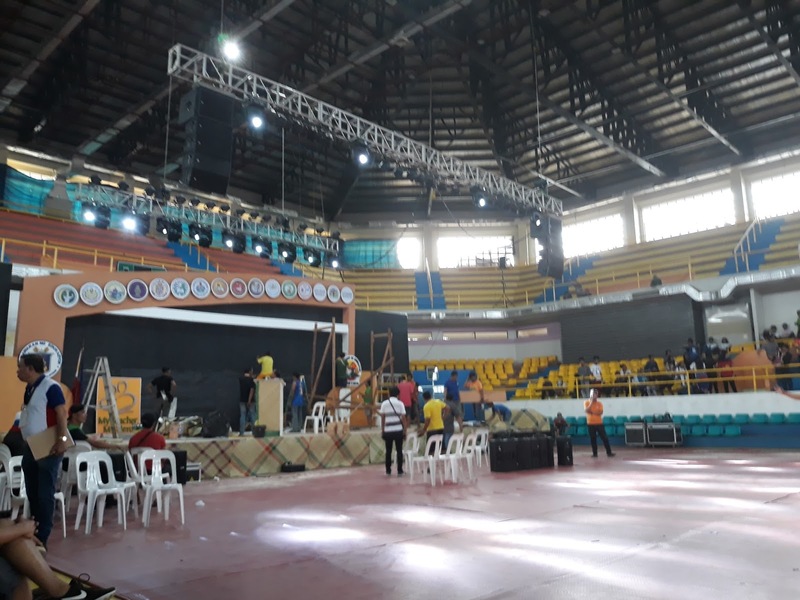 I found it overwhelming, specially knowing that this was going to be a national event. The Top 10 Finalists came from 3 Regions: Regions 4A, 4B, and 5 . The following year, 3 other regions will compete for the title. I picked a number and the number I picked was 9. Once we are all done with the numbering, we went outside to practice for a short dance that we would all perform. 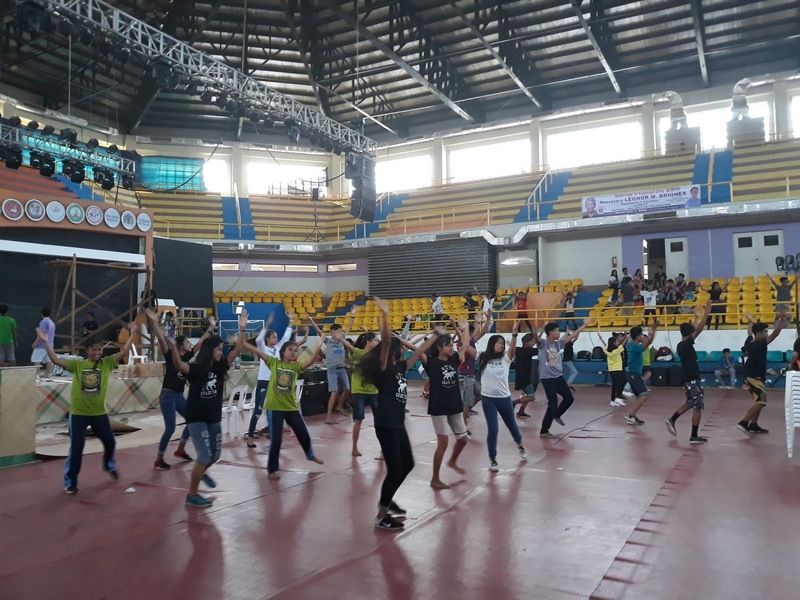 But while waiting for our turn to use the space, I was really amazed watching the students practicing for the main event. The festive dances really added more excitement to the event and it was difficult not to dance to the beat of the music. One minor problem I was having was what to wear for the competition. This is when I contacted my friend, Jager Lubiano, if he knew of a barong that I could borrow. The day of the rehearsals, he came in to Ibalong Centrum and had me wear this beautiful barong designed by Ronald Lita. When I tried it on, it fitted perfectly and I loved the details and I felt that this was the one I would want to wear. 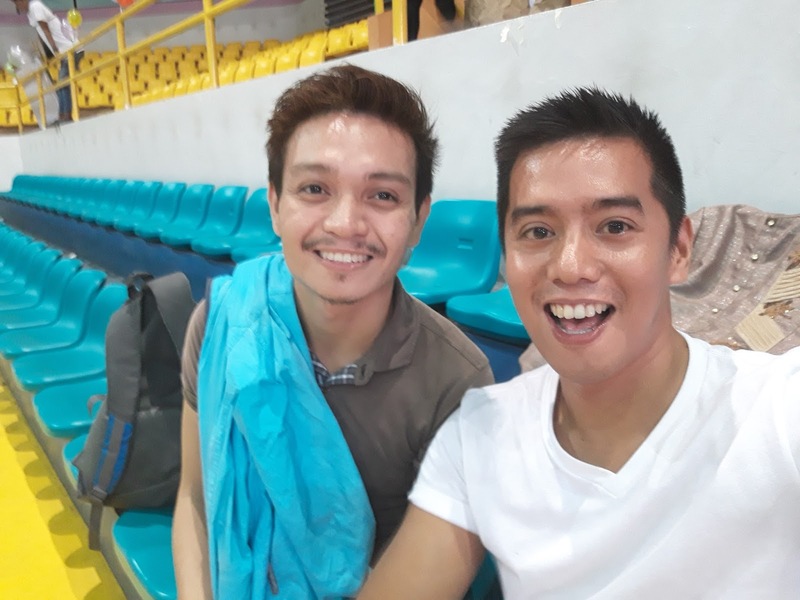 One of my friends from Legazpi, Jayver Samo, also came in to visit me and show his support. 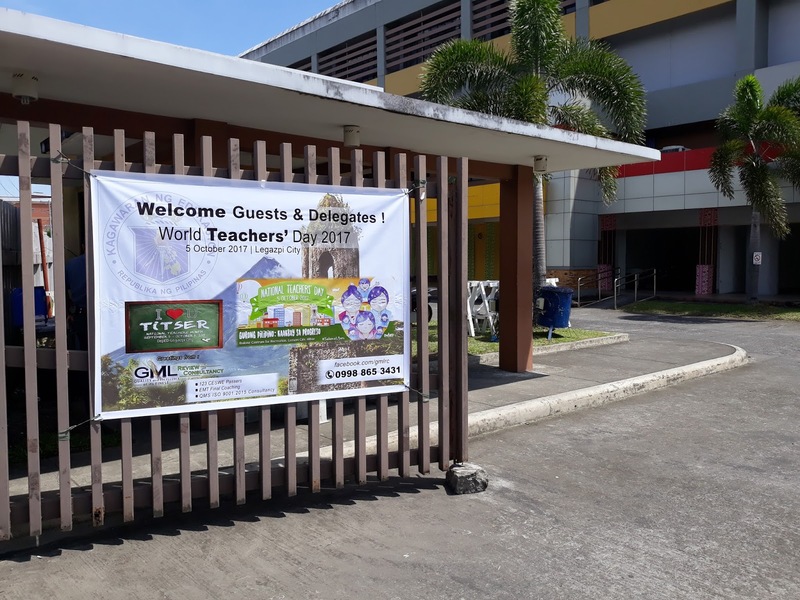 The day finally arrived for the Department of Education Philippines to celebrate the National World Teachers Day. 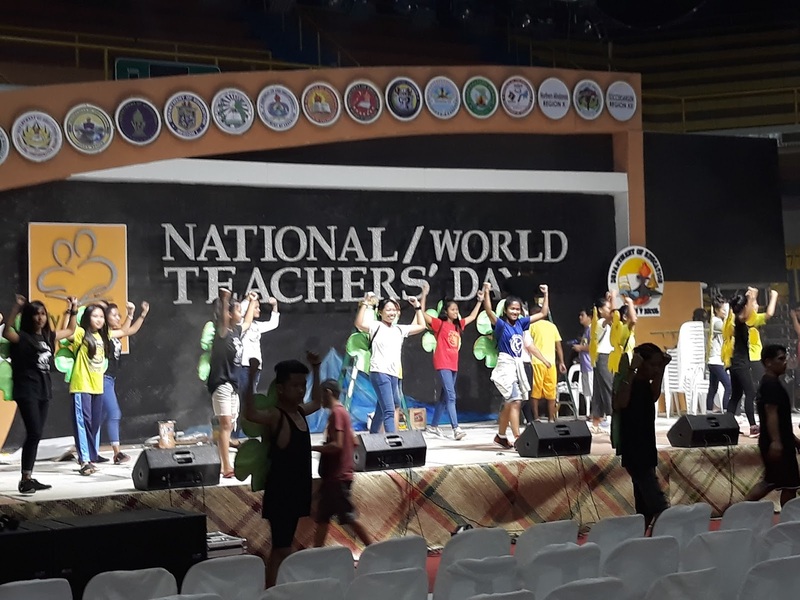 All the hours spent practicing was now going to put into a test because the first program of the celebration is the Teachers Got Talent. Our call time was 6:00 am and when I arrived I could already feel the pressure and yet the festivity of the event was quite overwhelming. I kept telling myself over and over to stay calm and focused for the competition. One way of getting the nerves out of our system is by taking selfies. 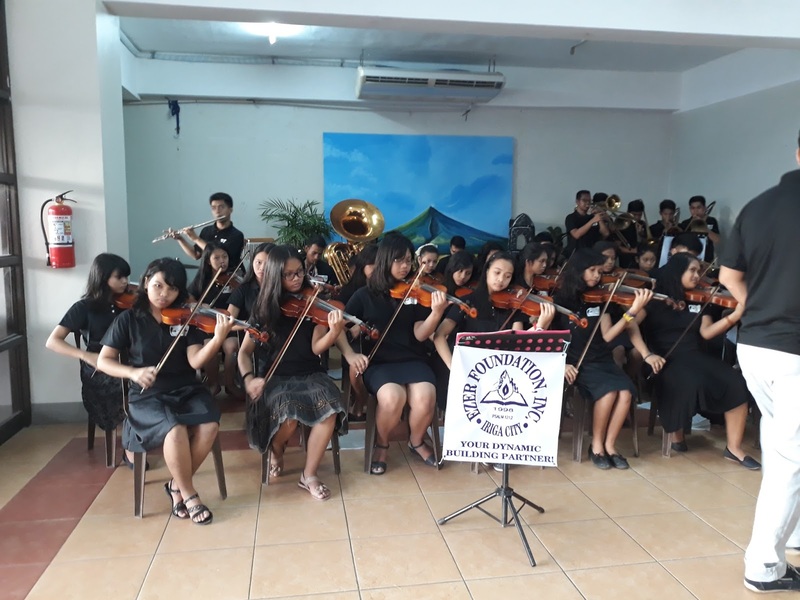 There were different talents showcased for the competition. 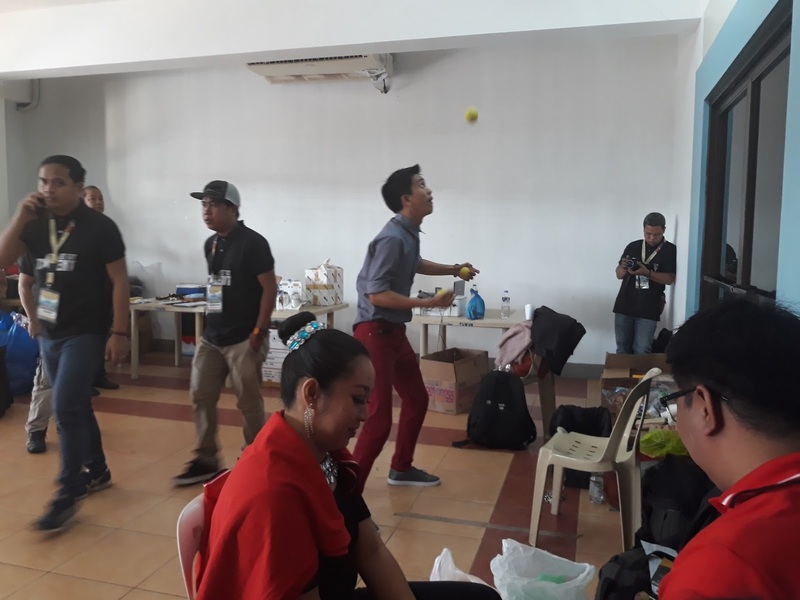 Aside from singing, other participants also showcased their talents in juggling, baton twirling, and many more. 8:00 am finally came, the show had begun. 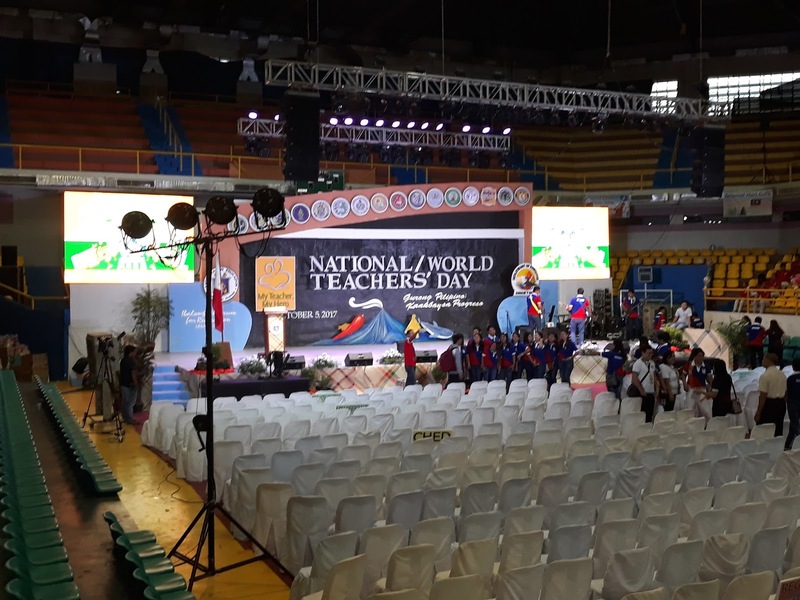 Ibalong stadium was full of teachers from all over the Philippines. I was just so grateful to be part of this event. 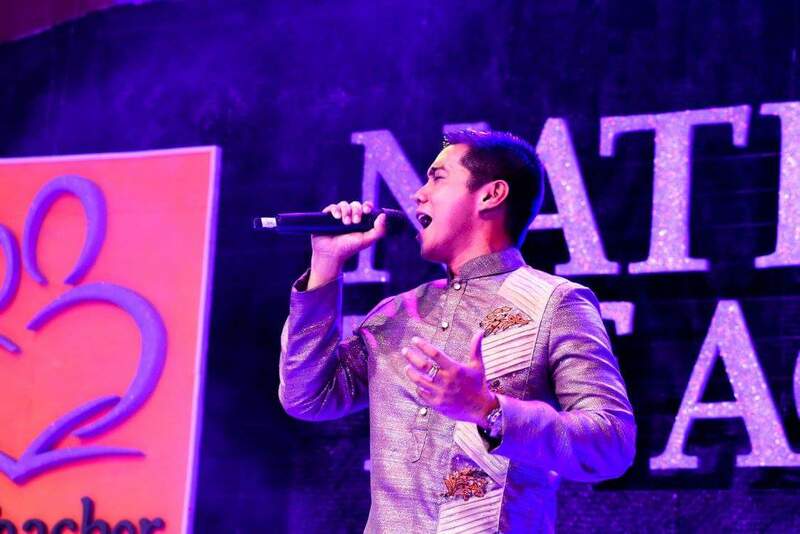 For this competition, I performed a song by Erik Santos entitled THIS IS THE MOMENT. I was so happy to find a nice instrumental version at Sound Cloud which I used for the competition. 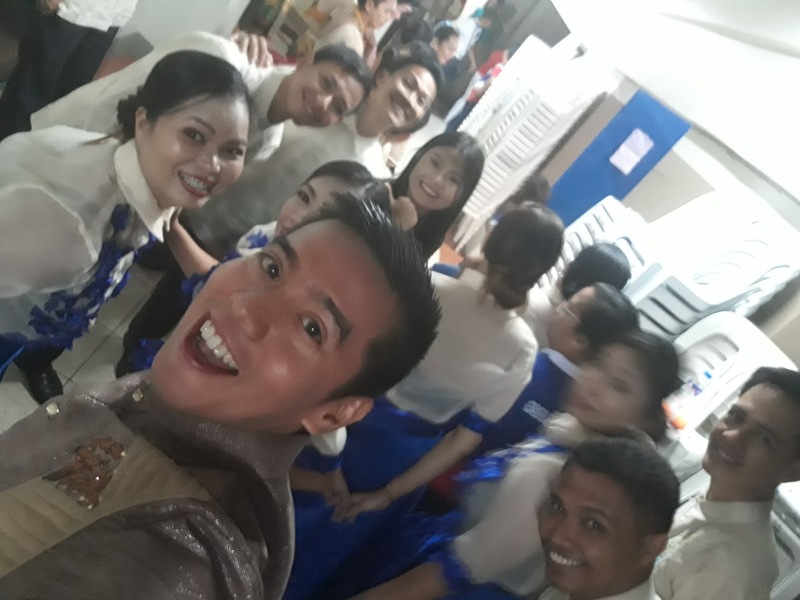 After so many weeks of practicing and memorizing the lines, I just did a last minute prayer before getting up on stage that what ever happens, this is for all for HIS GLORY and Thanking HIM for this opportunity of a lifetime! I walked up on stage and started singing my heart out to 6000 people inside the stadium. 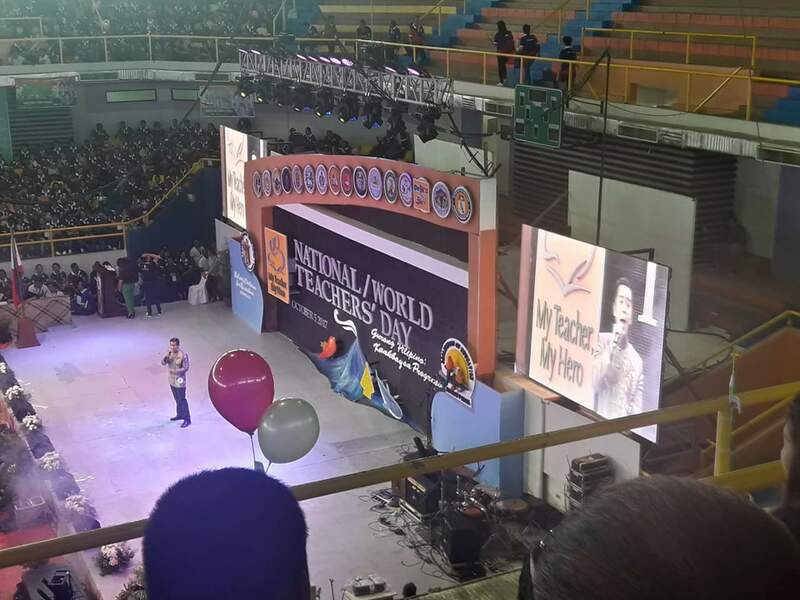 I would like to thank my other friends who were in the stadium who forwarded me some photos during my performance. After all the performances, we were all called back onto stage and certificates were give to all of us.Then the announcement of winners followed. We were all very nervous and we had no idea who was going to be the winner. It was nerve-racking to be honest because I think all of us did our best. First, they called in the 5 consolation prices. I just said to myself whatever the result was I was still very grateful. Later on after calling many numbers, my number 9 still had not been called and, yes, I reached the top 5! Now I was shaking because this just meant anyone of us could be the Champion. They called the 5th, 4th, 3rd and, surprised, I was still on stage. I was freaking out because either one of us could be the winner. 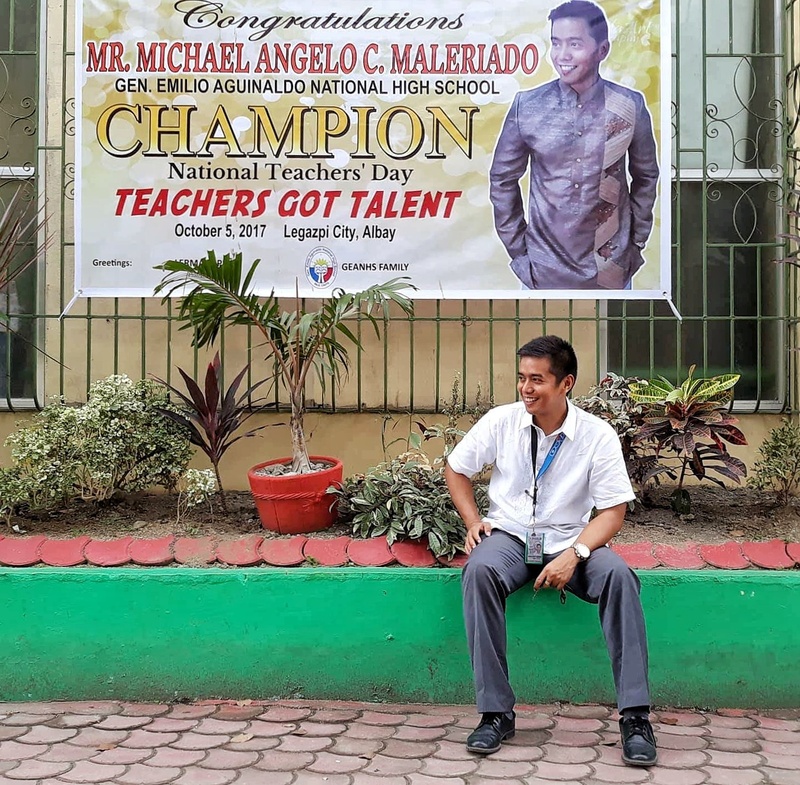 And when they they said that NUMBER 9 is the Teachers Got Talent 2017 Champion, I went blank for a short while and when I saw the Division of Imus jumping out of joy from their seats, suddenly tears of joy started to flow. 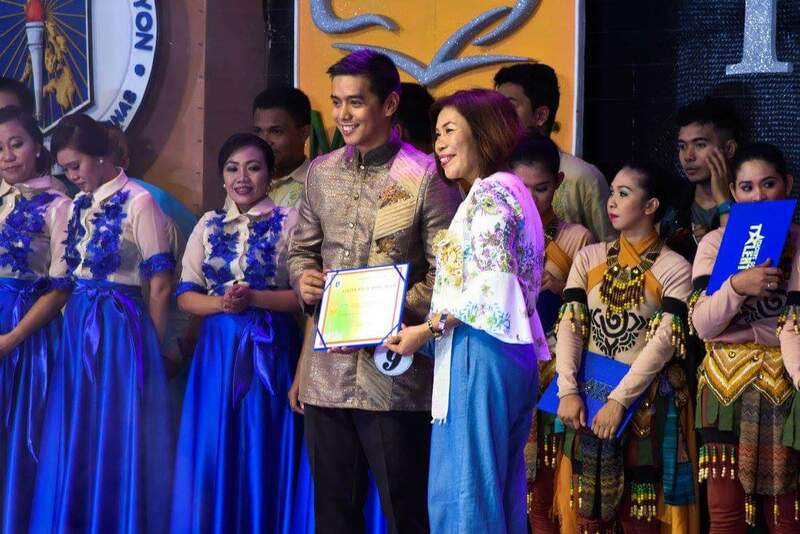 I invited Mam Lualhati Cadavedo and Mam Lerma V. Pena on stage and gave her a big hug while receiving my award because, if not for them, I wouldn’t be in that position. They were really one of my inspirations to this achievement. 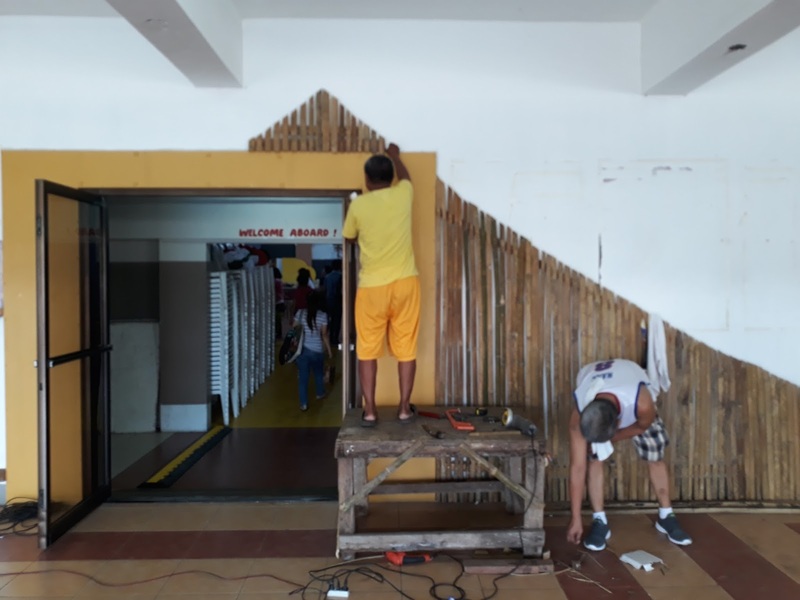 The day after the event, we drove back from Legazpi to Imus, Cavite and the buzz was already going around everywhere. 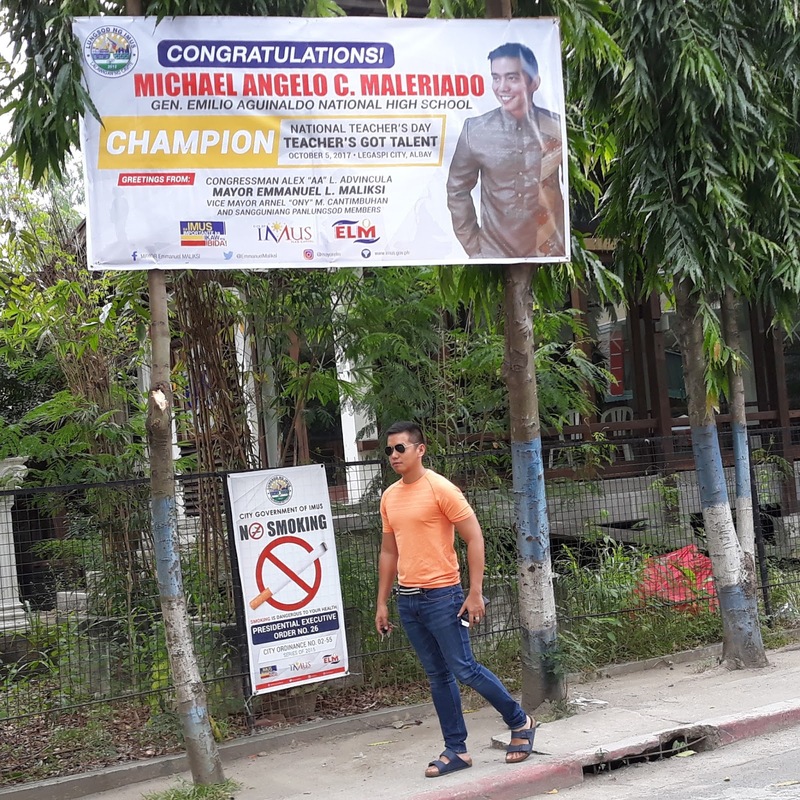 I was really overwhelmed with so many congratulatory messages and a big tarpaulin greeting us outside from our school and the City of Imus. 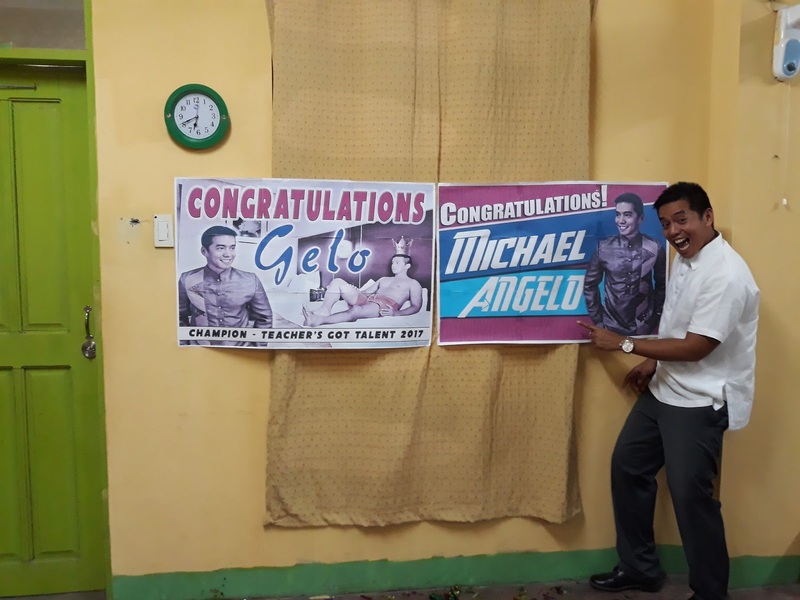 Even my TLE Faculty family also gave me a big suprise the moment I walked in. I am truly blessed! With this achievement, I really thank God foremost for this wonderful blessing. This is a journey I never thought would happen being a public school teacher. To all the people behind this success, thank you is not enough how humbled and blessed I am to be receiving this.